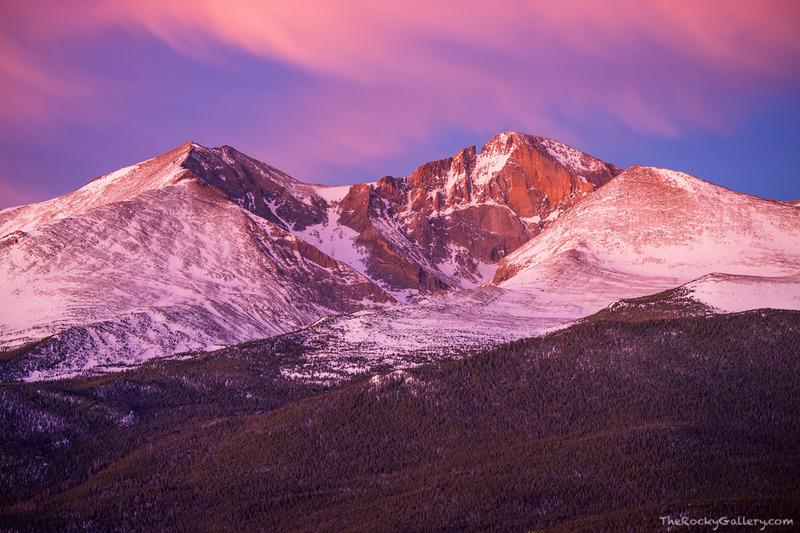 One of the most stunning views of Longs Peak and Mount Meeker is from the Twin Sisters locate directly across the Tahosa Valley from these two iconic peaks of Rocky Mountain National Park. Watching a beautiful February sunrise color this skies over the famous Diamond formation on the northeast face of Longs Peak makes the trek up the Twin Sisters well worth the effort. Photo © copyright by Thomas Mangan.